For those with documents trapped in OpenXML .docx format, the online document conversion service Zamzar provides a convenient way to convert to other formats including .doc, .pdf, and .odt. How well does it really work, though? 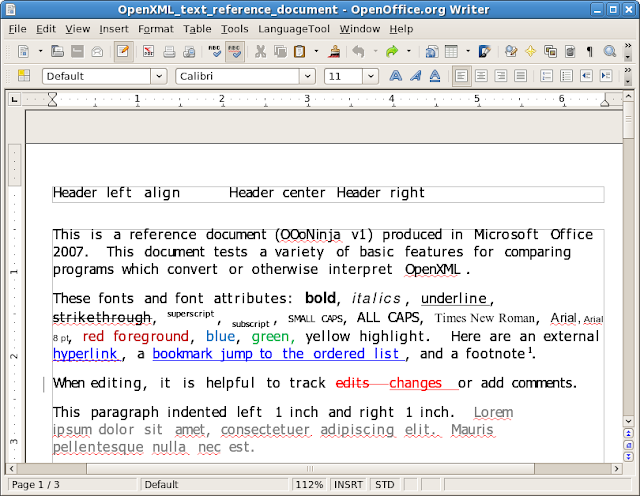 First, I converted the OpenXML .docx to OpenDocument .odt. It was during non-peak hours, so I received my document within seconds. Zamzar correctly converted most features including manual font and paragraph styles, links, tracked changes, footer, footnote, page number field, lists, a table, and the columns. However, the image was distorted as if it were poorly resized, and header alignment and the embedded Excel document formatting were mangled. The comment was completely missing. Overall, it was still a decent conversion for most uses. Second, I converted the OpenXML .docx to PDF, and the results were excellent. There were only two minor issues. 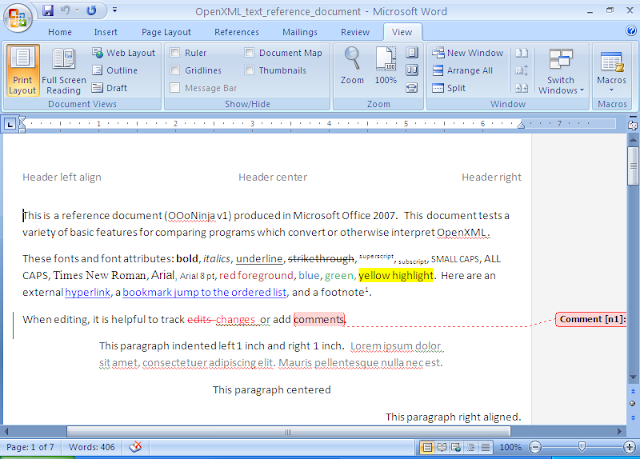 First, no program other than Word 2007 itself interpreted the header formatting correctly. Second, there is no option as to whether to display the comments and changes. In some cases, it would be nice to hide them to prevent the page shrinking. The conversion is fairly accurate. It's easy: no software to download or to install. Works on Windows, Linux, Mac, etc. Converted file is returned fairly quick when their servers are not busy. There are free and paid versions available for different needs. The free version is not secure for confidential documents, and personally I would not trust the paid SSL version with certain documents either. It's not convenient for rapid use with many documents. The interface only allows one upload at a time, and then you must wait for the results via email. The email only contains a link, so you have the visit the site again. You saved me an hour by writing this review. Thanks! 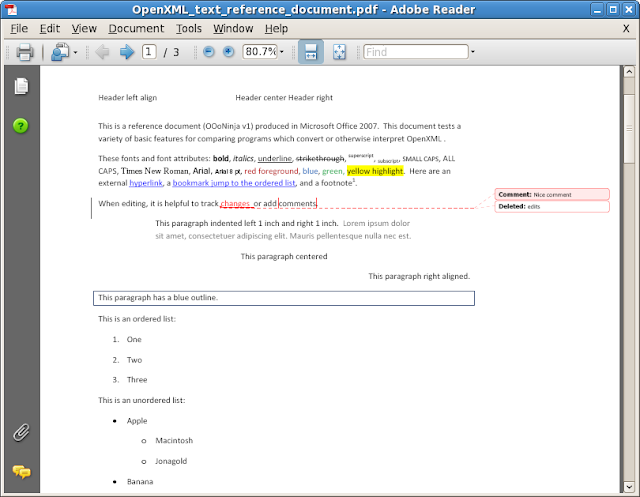 Anonymous: See PDF Import for a way to import PDFs to OpenOffice.org (.doc or .odt).